Improving pagination as asked for at T113436 is out of scope of this task and will be addressed in future as task on its own. Open None T187974 Please let us filter [[Special:ListFiles]] like we can [[Special:NewFiles]]. T187974: Please let us filter [[Special:ListFiles]] like we can [[Special:NewFiles]]. Florian raised the priority of this task from to Normal. Florian added a project: UI-Standardization. Florian added subscribers: Ricordisamoa, Legoktm, Jdforrester-WMF and 4 others. There isn't much space left fpr the much more important list :/ It's probably the same problem as in T117724: Convert Special:AllPages to OOUI. I see. So should I bring the label and the field in the same line, or is there something else which needs to be worked upon? 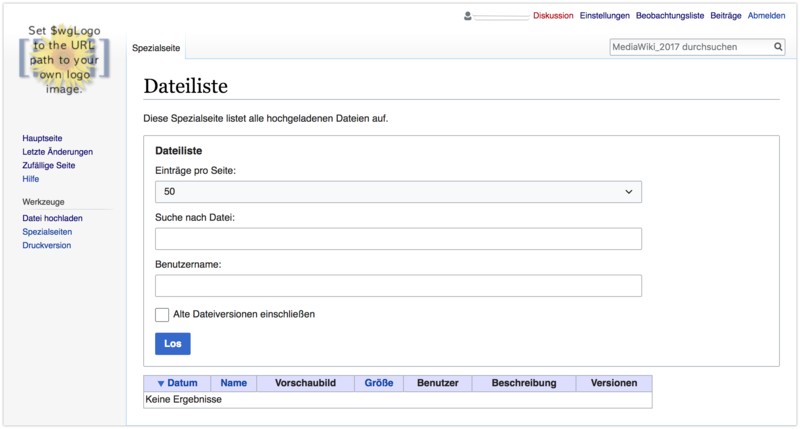 Volker_E added a project: MediaWiki-Special-pages. Volker_E merged a task: T73440: Fix Special:ListFiles. Volker_E merged a task: T113436: Make Special:ListFiles follow OOjs UI. Volker_E added subscribers: Prtksxna, • Jaredzimmerman-WMF, • violetto and 2 others. Volker_E removed subscribers: • violetto, • Jaredzimmerman-WMF. Volker_E added subscribers: • Jaredzimmerman-WMF, • violetto. Aklapper mentioned this in T187974: Please let us filter [[Special:ListFiles]] like we can [[Special:NewFiles]]..
Aklapper added subscribers: Jeff_G, zhuyifei1999. Volker_E removed subscribers: • violetto, • Jaredzimmerman-WMF, • Mattflaschen-WMF. Wondering if we should rather change the button to “Show file list” over “Search”…? Yeah, that's nice, but still a bit strong? Volker_E closed this task as Resolved. UX improvement ideas discussion to be continued in T194067.